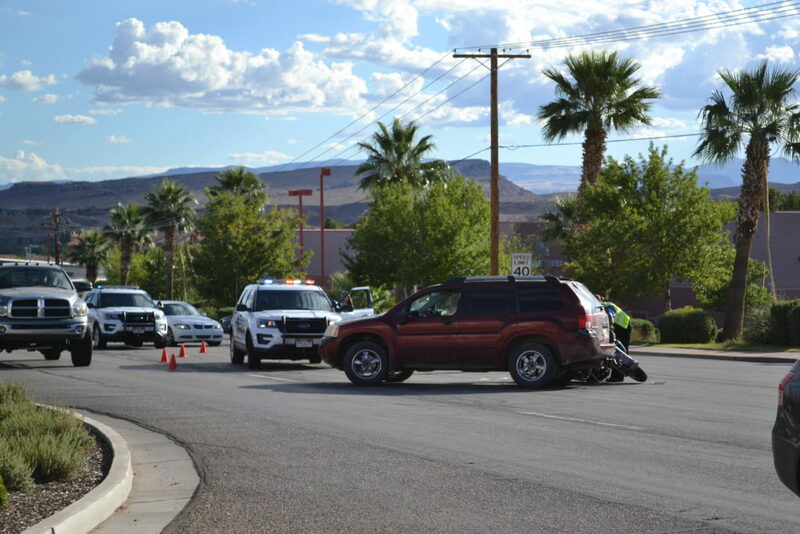 ST. GEORGE — A motorcycle and SUV collided near the intersection of West Sunset Boulevard and North Dixie Drive, sending the motorcyclist to the hospital Friday afternoon. 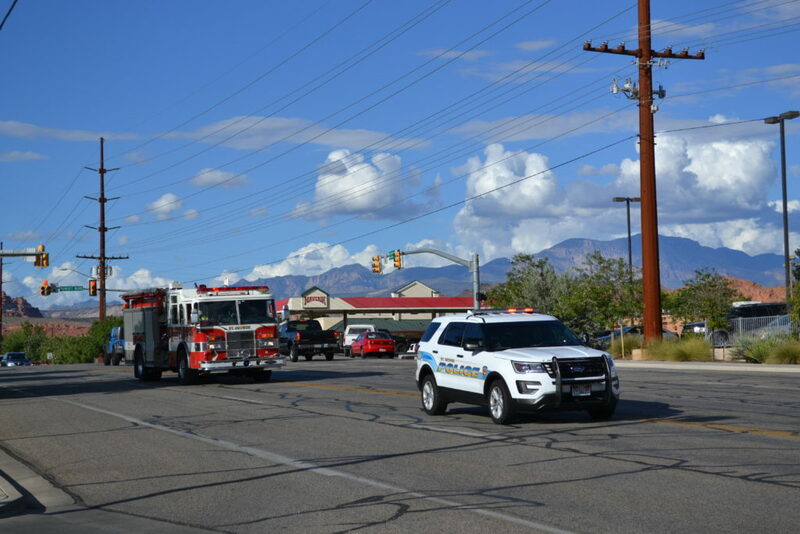 St. George Police and emergency medical services from St. George Fire and Gold Cross ambulance responded to the incident at approximately 4:45 p.m. 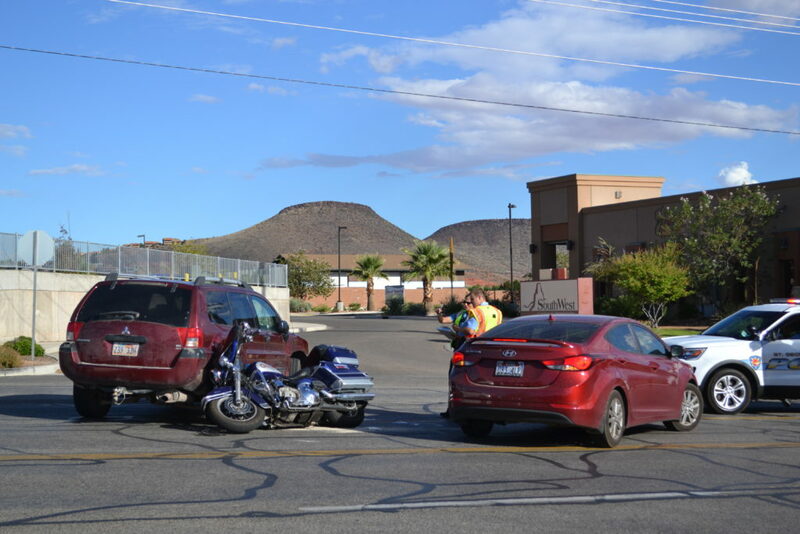 The motorcyclist was traveling behind two other vehicles that were moving into the left turn lane. 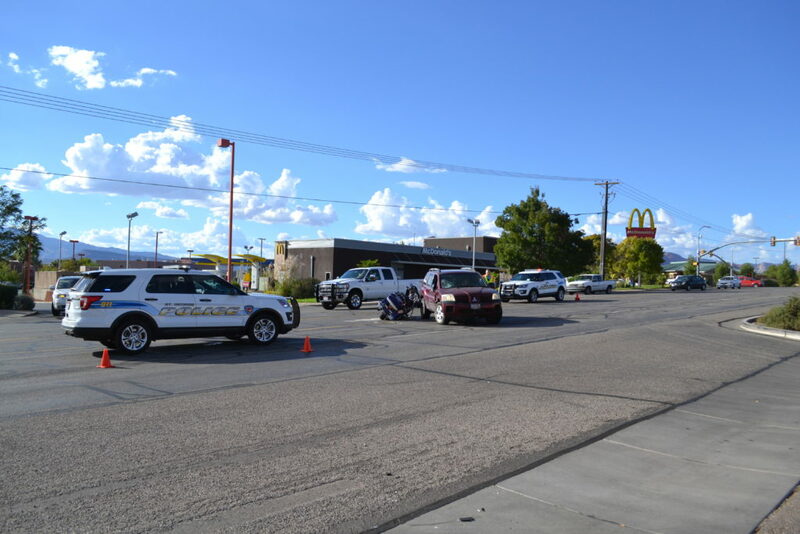 The driver in a maroon Mitsubishi SUV thought it was clear to make a left turn into a nearby business but did not see the oncoming motorcycle after the two cars in front of it had cleared the lane, St. George Police Sgt. Choli Ence said. 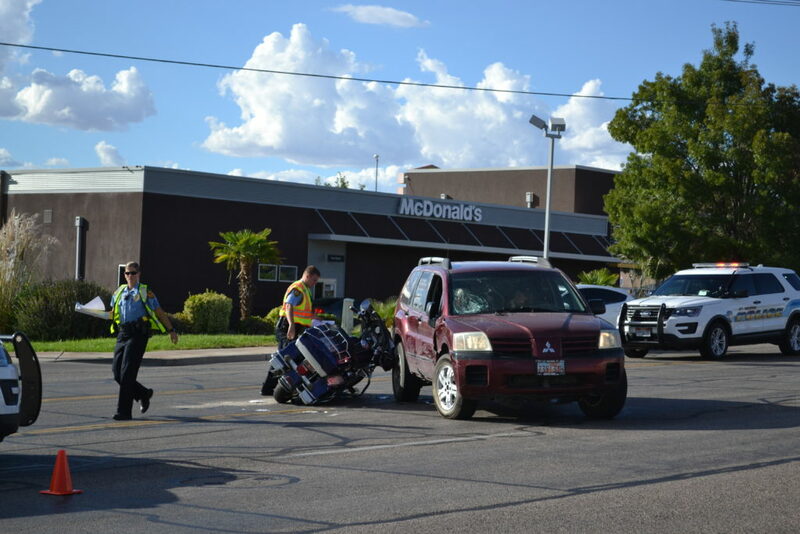 The motorcycle then hit the SUV as it made the left turn, Ence said. 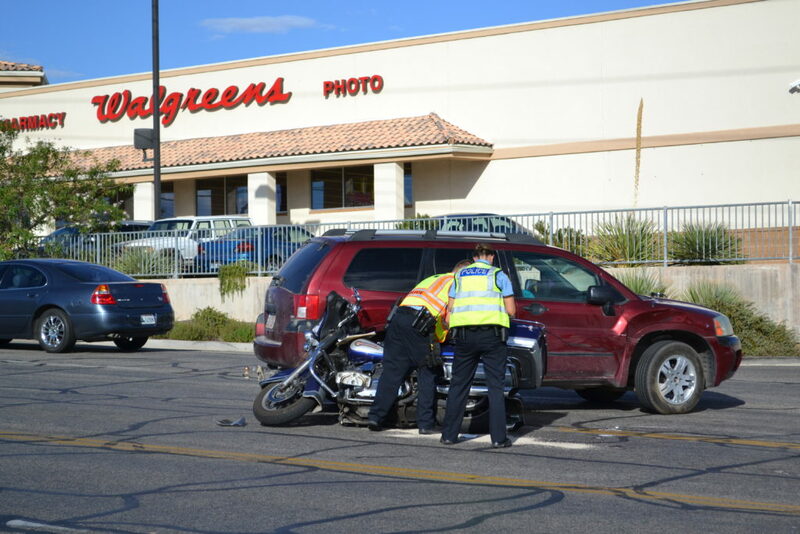 The motorcyclist was injured and taken to the hospital by ambulance. “He was walking around but did have some cuts and bruises,” Ence said of the motorcyclist’s injuries. 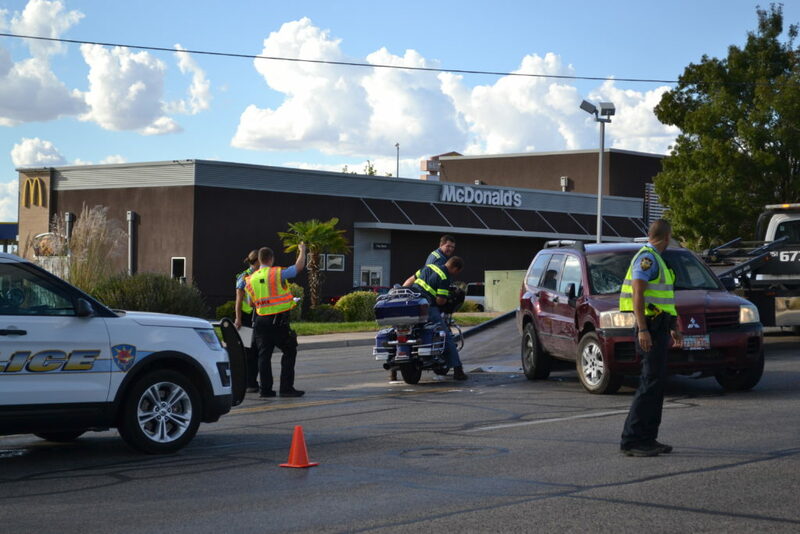 The collision left the SUV with a partially shattered windshield and bashed-in passenger door, appearing as if the motorcyclist had landed on the oncoming vehicle. 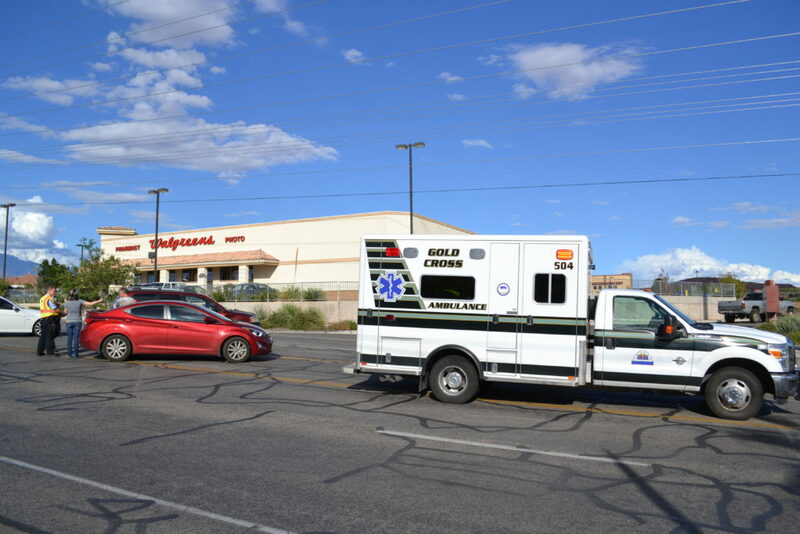 The occupants of the SUV were uninjured and were able to drive the vehicle away. 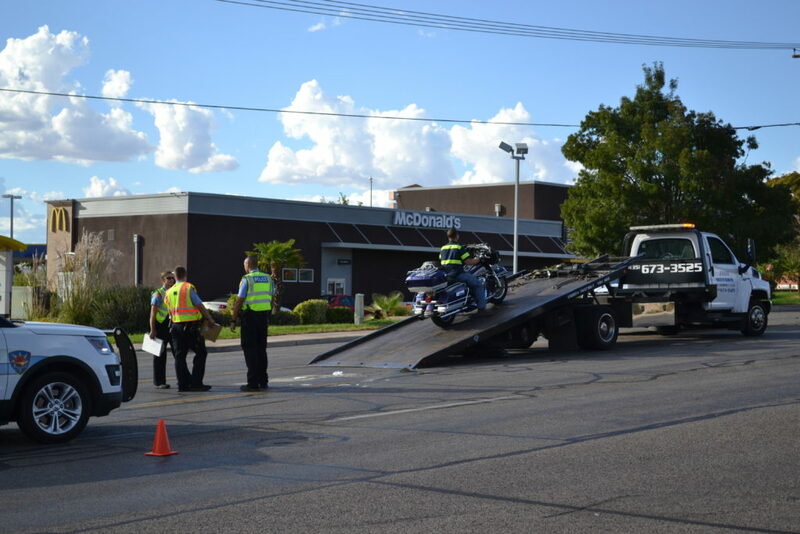 The motorcycle, however, was towed away. “This is the time of the year that motorcyclists are out and when traffic’s heavy,” Ence said. Drivers should take an extra second to look and be sure they’re clear before making turns in busy intersections where motorcycles are harder to spot, she said. It only takes a moment of not being aware of your surroundings to create an accident. this could of turned out to be so much worse. I’m just glad no lives were lost and everyone was able to go home to their loved ones. .Praise the Lord !